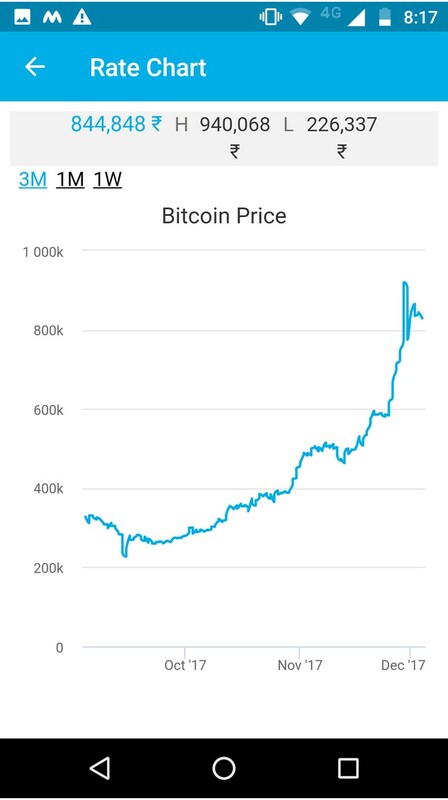 The reason of Bitcoin trading boom is the volatility of this cryptocurrency. The volatility of the currency, the ups and downs is what promises maximum yield out of it and that is why it has become the traders new found love. In India, bitcoin trading is still being in its nascent stage with around 2500 people trading Bitcoins using different cryptocurrency exchanges opened in India. And the craze to own even a small fraction of this magical currency is just going to grow leaps and bounds. Lack of knowledge about Bitcoin in India and scepticism regarding the viability of the currency is what keep most of the people from trying their luck with this currency. 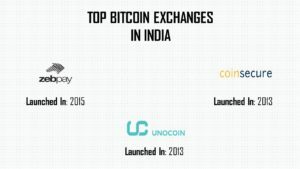 Since we can’t change a lot about the skepticism which people have about Bitcoin, but we can surely make them more aware about how Bitcoin trading in India is done and which is the best bitcoin exchange in India. 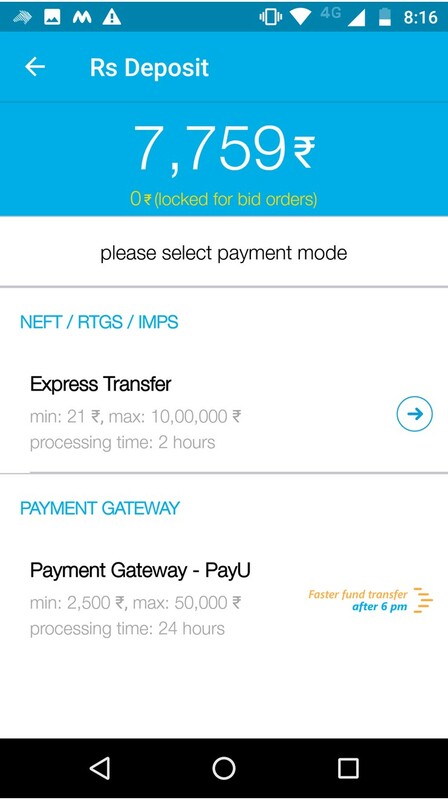 Zebpay is an app-enabled exchange which has its IT offices in Ahmedabad and Mumbai. 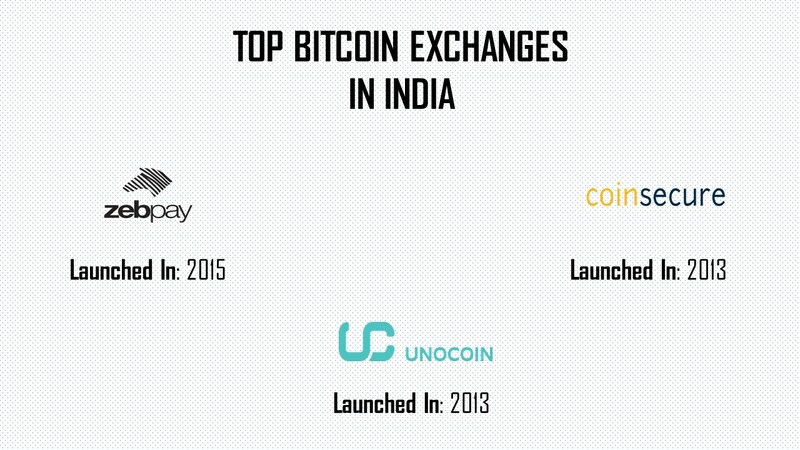 With over 1 Mn+ downloads, the exchange claims to command over 60% of the Bitcoin trade in India. Follow the below steps and start your Bitcoin trading using Zebpay. 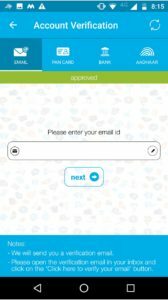 Step 1: Sign up: Users need to sign up with Zebpay app. Users can directly download the app from their respective ios or android stores or can get directed to the stores by visiting the Zebpay website. 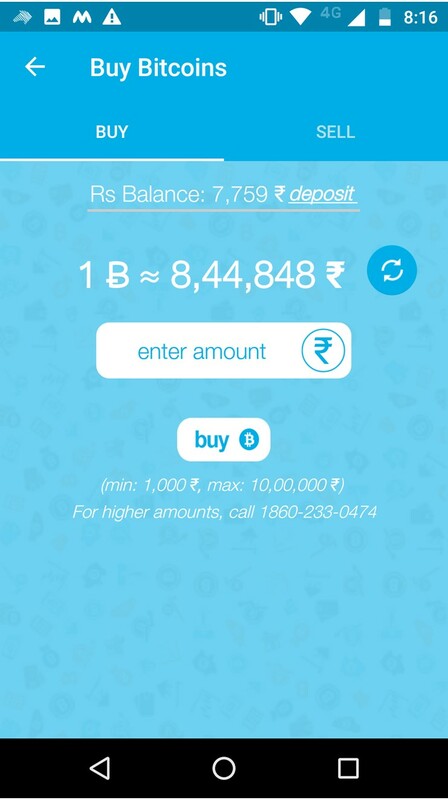 Account Verification: To activate the zebpay account, user needs to verify his/her account. 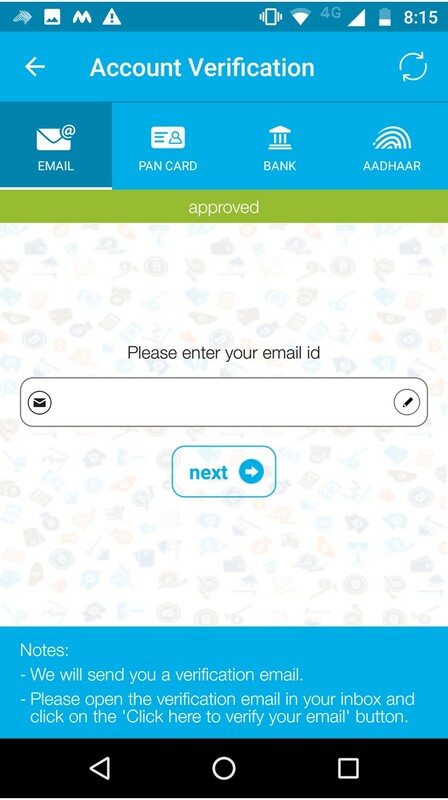 To complete the verification, process the user would need to provide following details. Once submitted, it takes a usual of 2-3 days for your account to get activated (faster than all its competitors) . 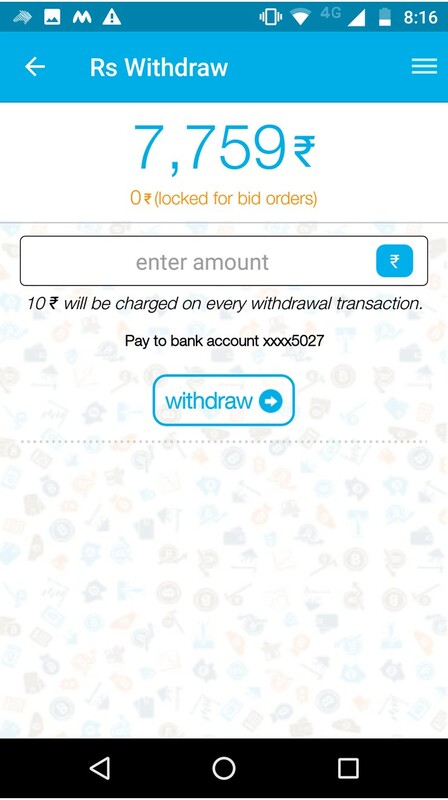 Depositing Money: In order to start bitcoin trading the user would need to deposit money in Zebpay wallet. The process of depositing money is also easy and can be done using two ways : Express transfer or through PayU Payment Gateway. 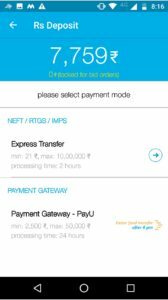 Bitcoin trading using Zebpay: Trading through zebpay is as simple as ordering food through a food ordering app. Buying a Bitcoin : Tapping on the Buy button will direct the user to the Buy Bitcoins screen where the user would be able to view the current buying price of the bitcoin and the amount balance that the user is holding. 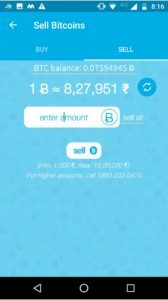 User can enter the amount for which he wants to buy the bitcoin, entering the amount will allow the user to see the number of bitcoins which he can buy for the amount that he is willing to spend. Example: The Purchase price of the bitcoin shown in the pic is Rs. 8,44,848 and if the user is willing to spend Rs. 84,000/– , he would be able to buy 0.10 Bitcoins. Selling a Bitcoin : Just like buying, selling a bitcoin also follows the same process. 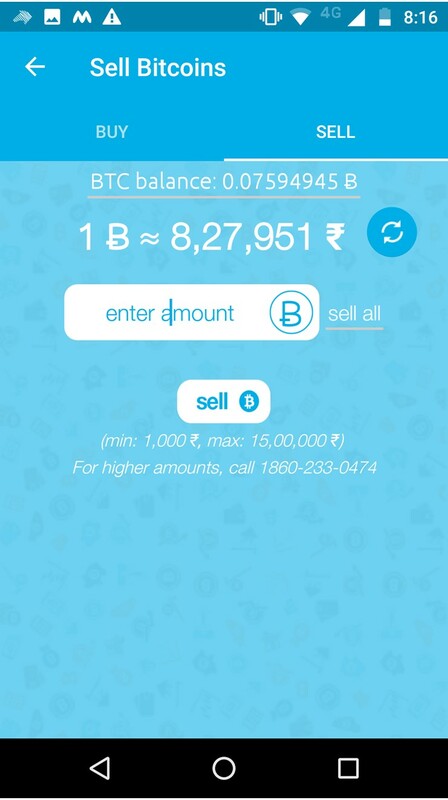 Tapping on the sell button will direct the user to the sell Bitcoins screen where the user would be able to view the current selling price of the bitcoin and the amount of bitcoins that the user is holding. User has the option to sell all his holdings by clicking on sell all or he can sell partial amount of his holdings by entering the amount of bitcoins or the amount of money he wants to sell off. 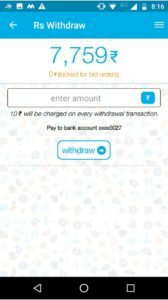 Withdrawing the money : User can withdraw the money present in his zebpay wallet by tapping on the withdraw button. 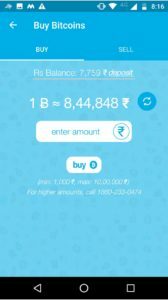 User can fill in the amount he wants to withdraw from the wallet into his registered bank account. 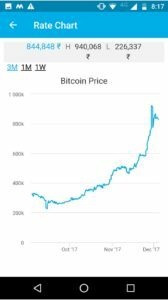 Analyzing the Bitcoin rate chart : The last thing which the user would be interested in viewing is the Bitcoin rate chart. User would be able to see the Highs and the lows to the bitocoin price for the duration of 3 months, 1 month and 1 week. Hope the above steps would give you guys a clear picture about the Bitcoin trading in india is done and how to trade in zebpay . Its not a rocket science anymore and everyone can start trading and investing in bitcoins and get a taste of it. Watch out for this section for more details on Bitcoin trading in India and other technology updates.